Edit (3/9/2014): In retrospect, I feel like I should clarify something here. 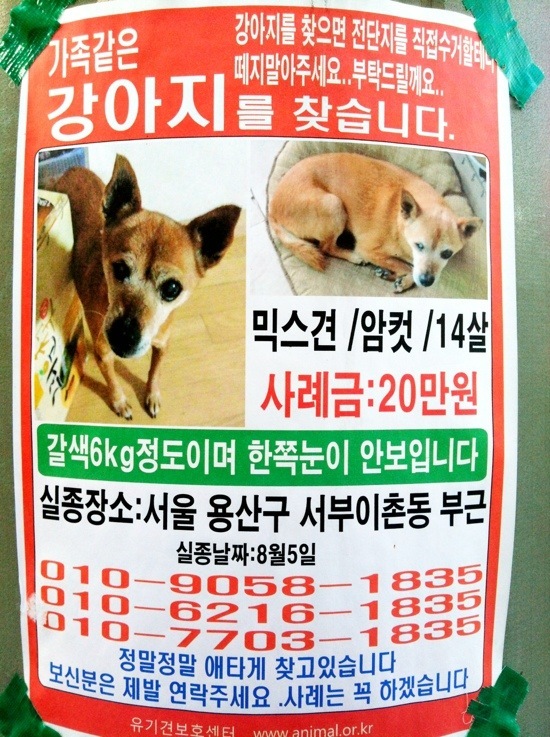 The reward money and the fact that the dog is old and blind in one eye doesn’t make this ad desperate. The desperation comes from the language used… it’s kind of pleading, begging for a phone call if the dog is found. I hope they found their dog, but I really don’t know if they did.